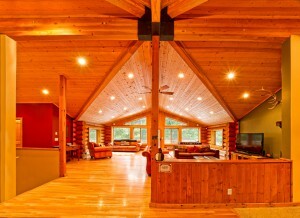 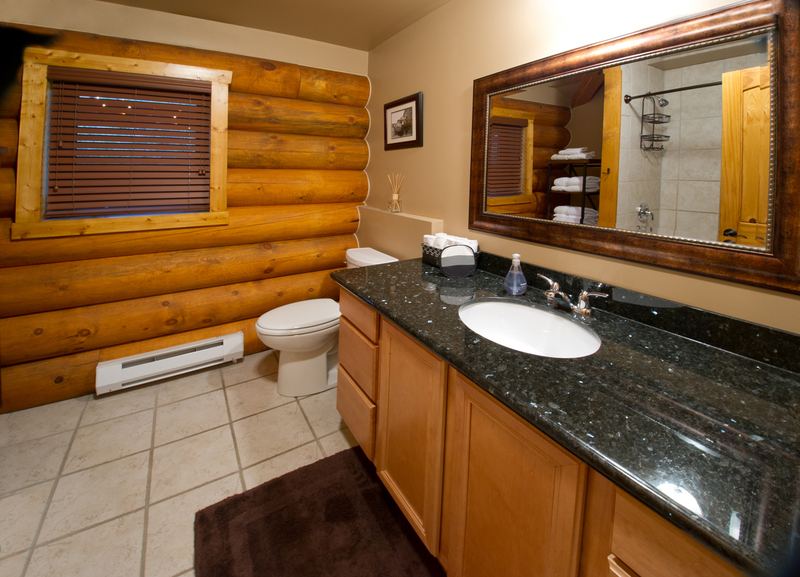 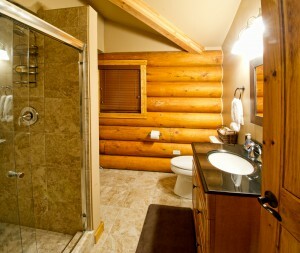 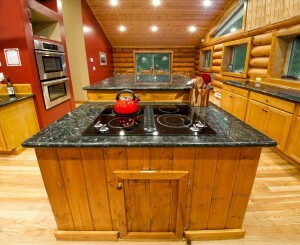 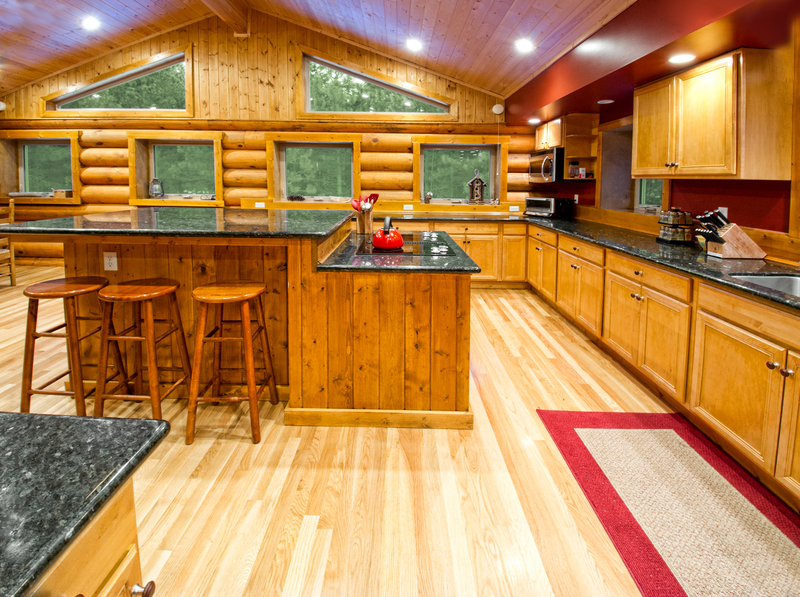 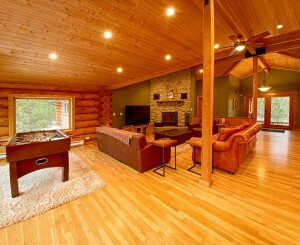 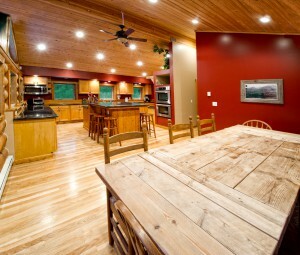 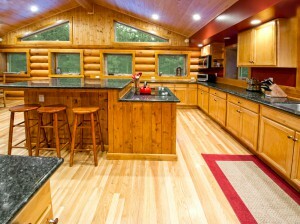 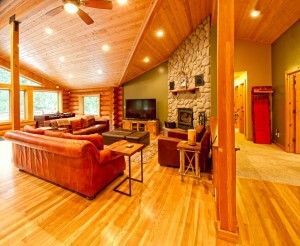 Natapoc Lodge is a custom tongue and groove, 12 inch diameter, hand hewn and kiln dried pine log home. The lodge has over 3,800 Square feet of living space which is well suited for groups of up to seventeen to spend quality time in a beautiful natural environment. 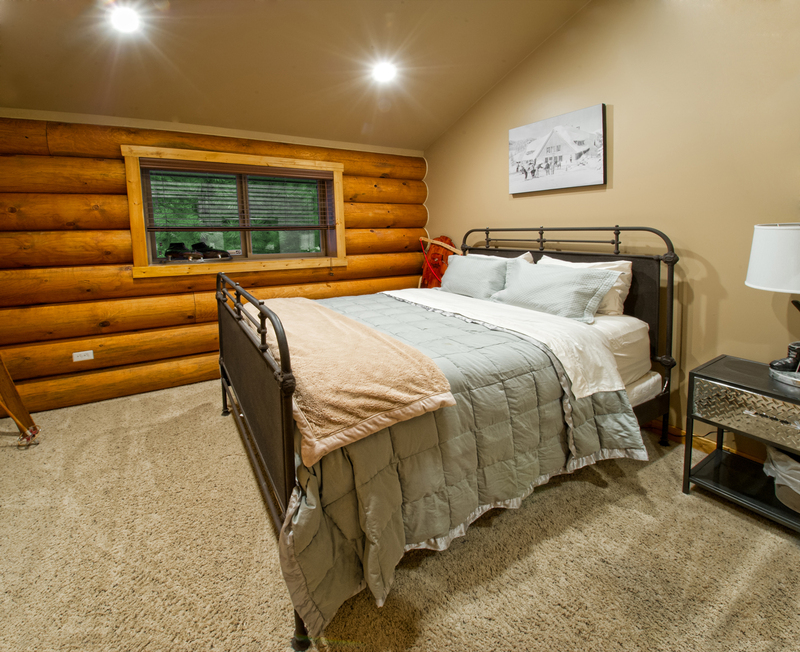 The secluded setting of the house among the pines will provide privacy even though you’re within two miles of gas, groceries, restaurants and endless opportunities for outdoor recreation. With traditional lodge styling, a wood burning fireplace and multiple sectioned areas, the centralized commons room is perfect for large groups. 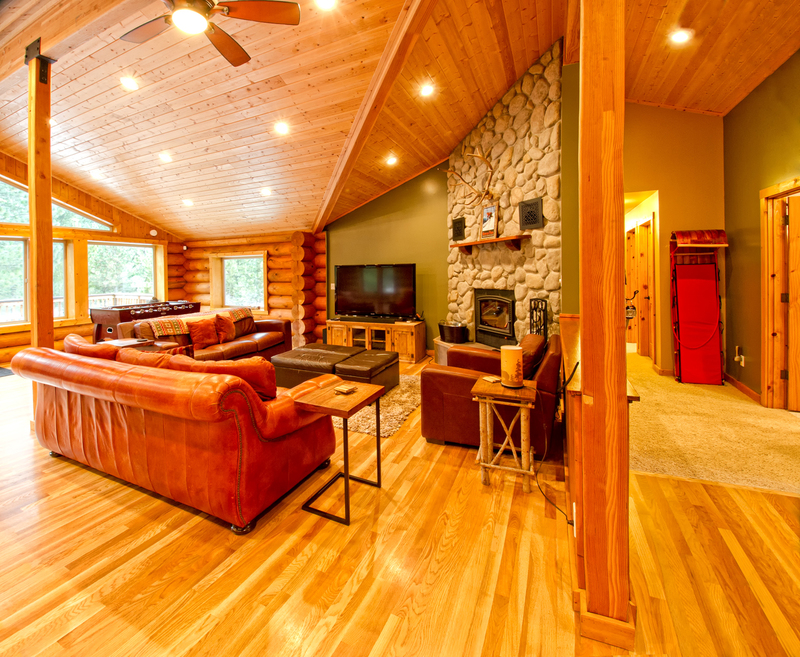 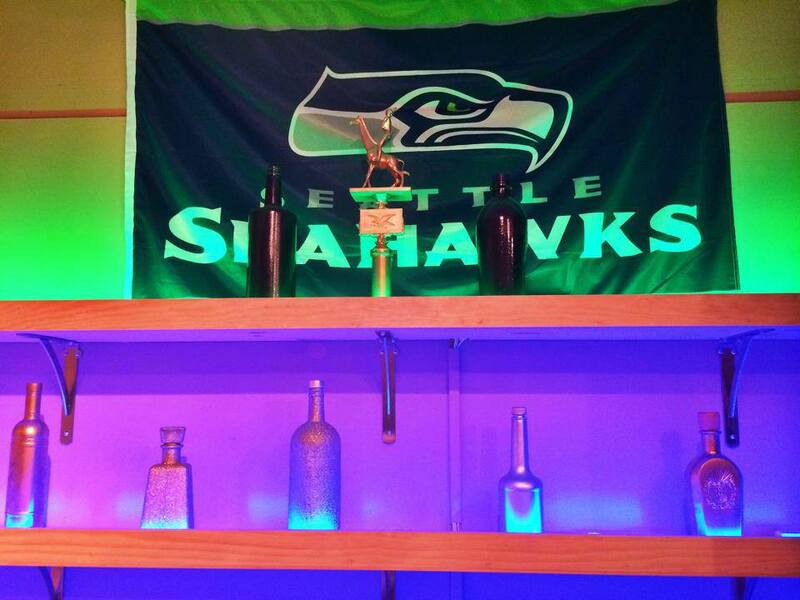 Enjoy our state of the art entertainment system complete with DIRECTV and a Sony Blu-ray™ player, while the rest of your group plays a friendly game of foosball or lounges in our scenic south-western corner’s Queen-size sofa bed. Take in the majestic view of Nason Ridge and Natapoc meadow while enjoying the 150 year old reclaimed Wyoming barn wood king size bed and furniture. Allow the numerous trophies and vintage hunting implements to transport you to the time of fur trappers, railroad tycoons and old growth logging towns. Find comfort in the vintage hickory log pole bed while taking in the fantastic views of Natapoc Ridge and Natapoc Meadow in the Lodge’s second corner bedroom. 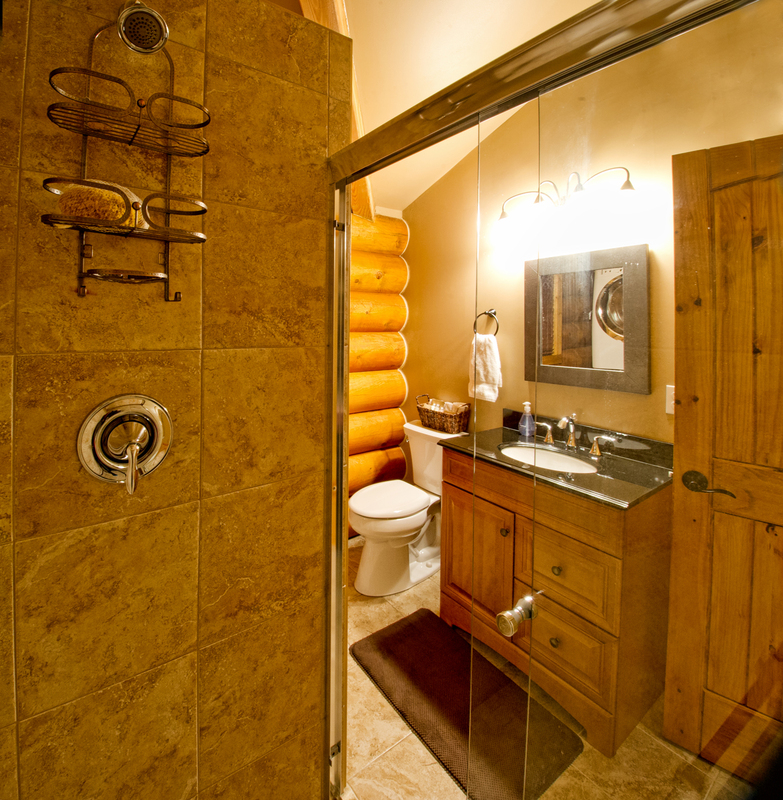 The Lumberjack is decorated with vintage logging gear an from the early 20th century Pacific Northwest. 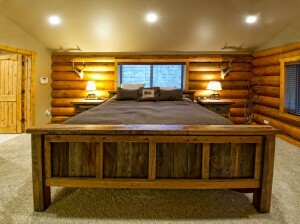 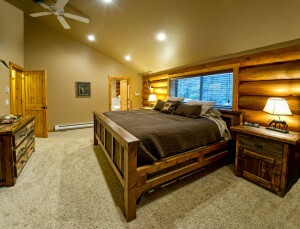 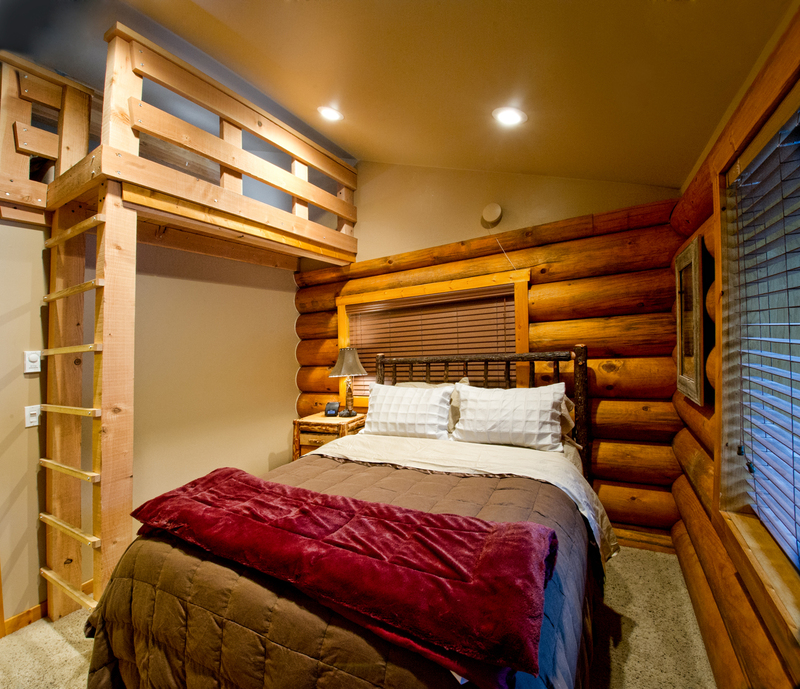 The room also features the Logger’s Loft—a secondary living space complete with a queen-size bed. As the most elevated point in the Lodge accessible by guests, it is a great novelty for older children who want a little adventure while indoors. 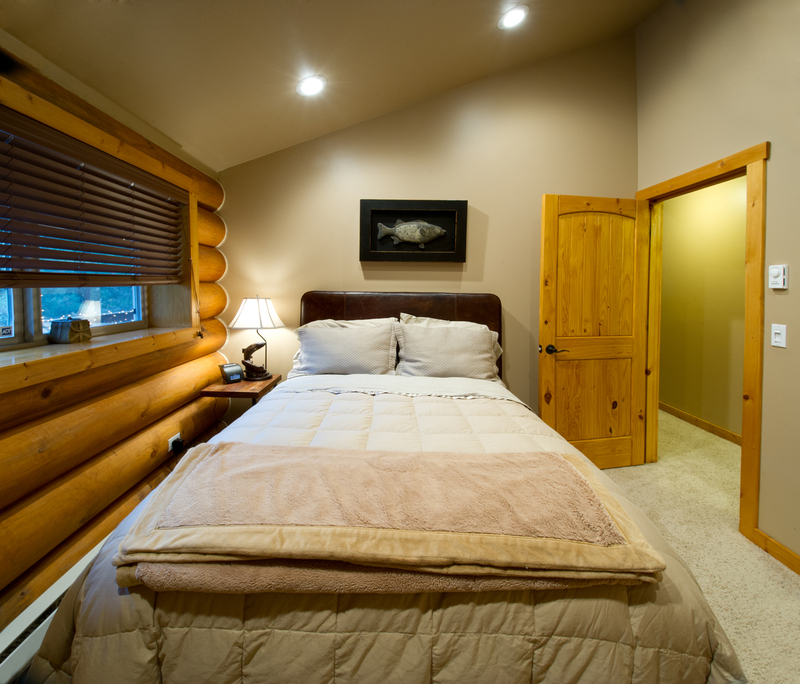 This room exhibits all the elements of fly fishing from a bygone era including fly reels, bamboo rods and gear from 1890s to 1940s. 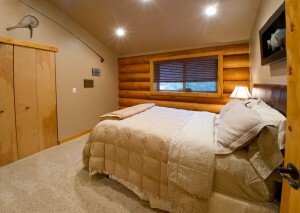 Sink into the vintage leather bed and relax to the sounds of nearby streams provided by the iPod clock radio. 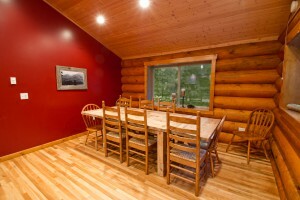 The Woolly Bugger features original artwork from fly fishing enthusiast and Natapoc Lodge owner, Rachel Bundy. Enjoy the views of Natapoc Ridge while dreaming up your next great cast of the season. It’s winter year-round in this room inspired by the Alpine experience. 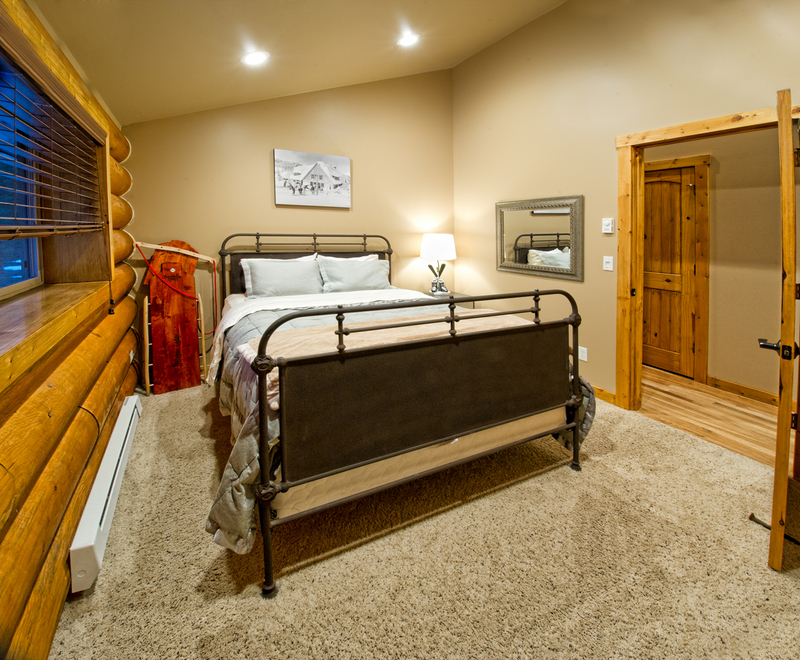 With vintage wintersport gear from the mid 20th century displayed throughout the room, you’ll be inspired to take off on your own sporting endeavors. And after a day of braving the elements, relax in the French Académie Iron Bed while taking in views of pristine Natapoc Ridge and dreaming up your next big adventure. 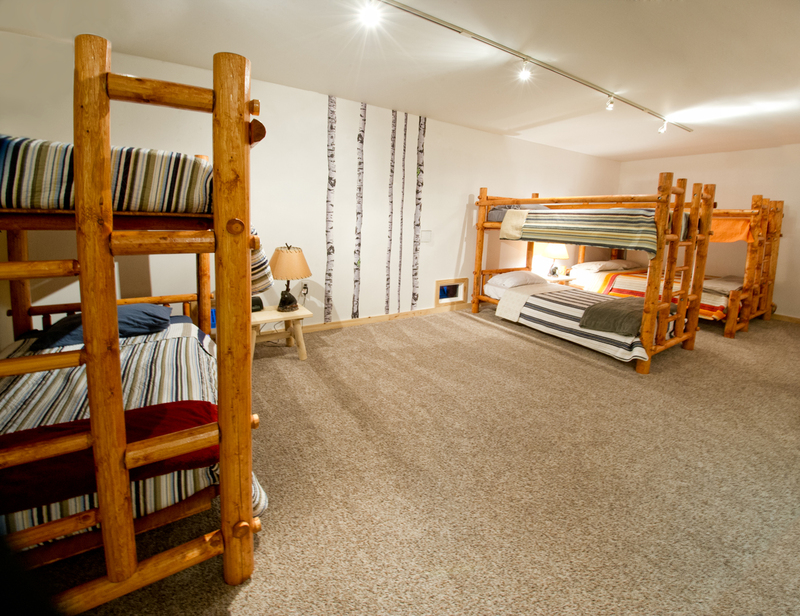 Perfect for larger groups with children, or anyone who enjoys the summer camp experience of bunking with friends & family. 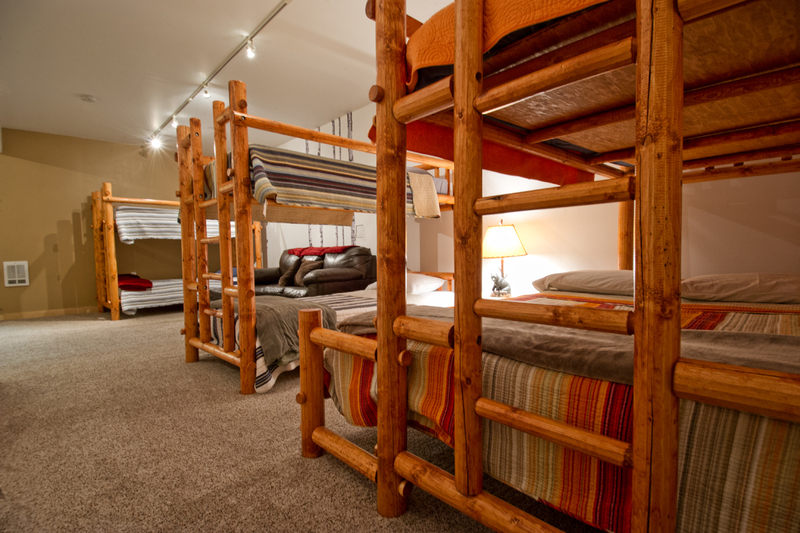 With 3 custom hand made log beds (1 Twin XL over Queen, and 2 Twin over Twin), there’s plenty of opportunity (and floor space) to wrestle over who gets the top bunk. 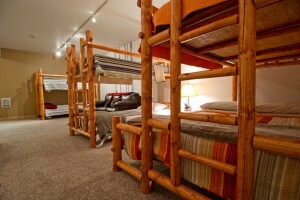 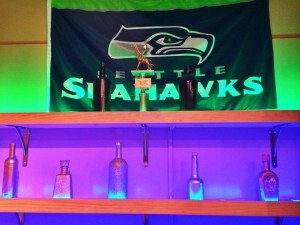 Just off the bunk room you’ll find the perfect spot to get away from the rest group for a while. 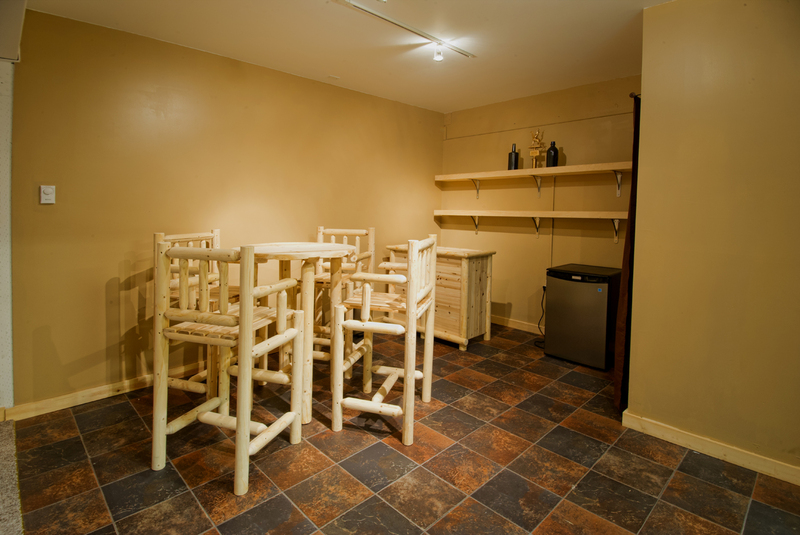 With a full set of custom wood bar furniture (bistro style table, chairs, and bar), The Lounge is a great place to chill out and relax with friends and good conversation. 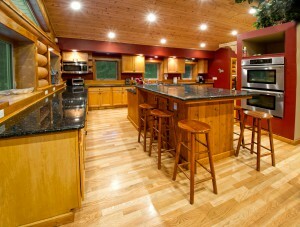 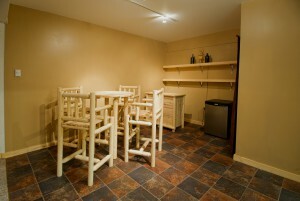 The large custom chef’s kitchen area provides plentiful space to satisfy your group’s cooking and dining needs. 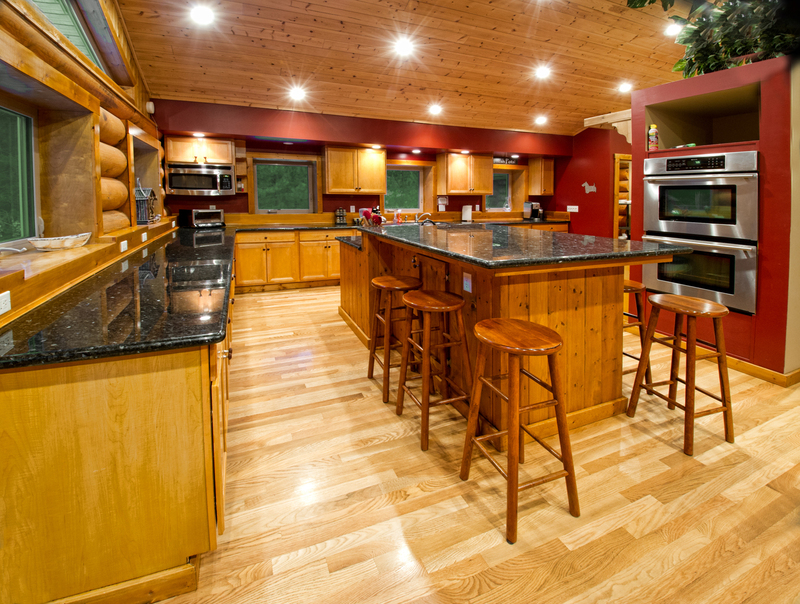 With vaulted pine ceilings, wood floors and an open floor plan, this kitchen was designed with your group’s comfort and convenience in mind. Our kitchen comes fully stocked with everything you need to prepare and enjoy meals, including twin ovens, a rustic reclaimed barnwood dining table that seats ten, and an adjacent granite island that seats six. 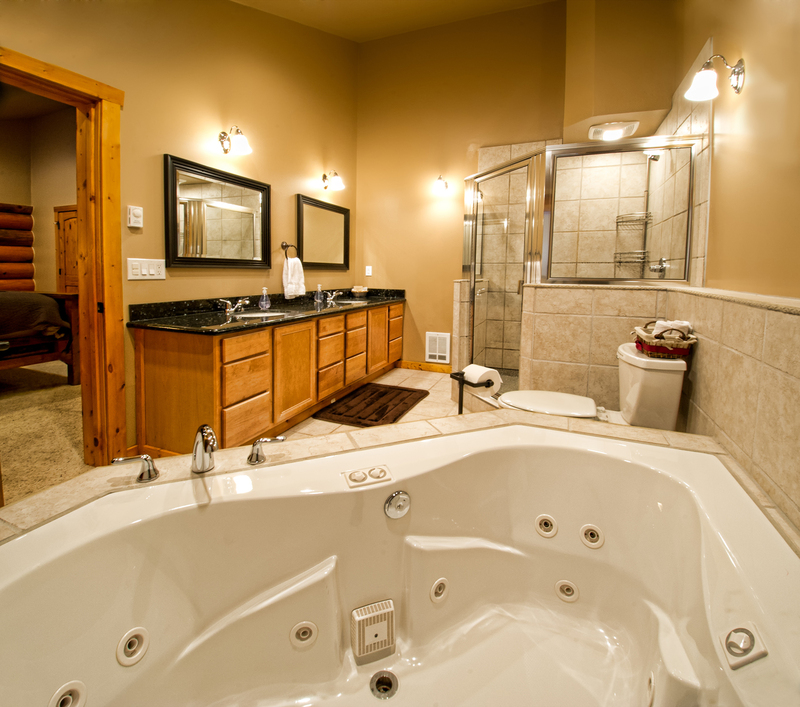 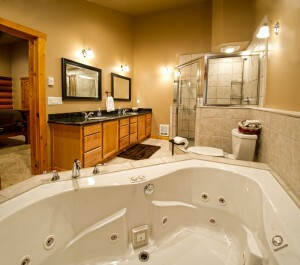 Three luxurious bathrooms, two large decks off the great room complete with a propane patio fire table, as well as a lower level hot tub patio area. 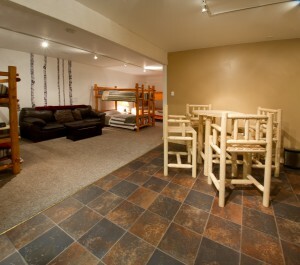 The 2,000 square foot garage can be used as a production space for crafting, indoor recreation, or parking for up to four of your group’s vehicles during the snowy winter.